BitStarz Promotion: BE AN EXPLORER - Join the Fantasy Adventure! BE AN EXPLORER - Join the Fantasy Adventure! A world of a pure fantasy awaits, as through air, fire, water, and earth we're bringing you an adventure for the ages that could see you win a magical trip to Madagascar! 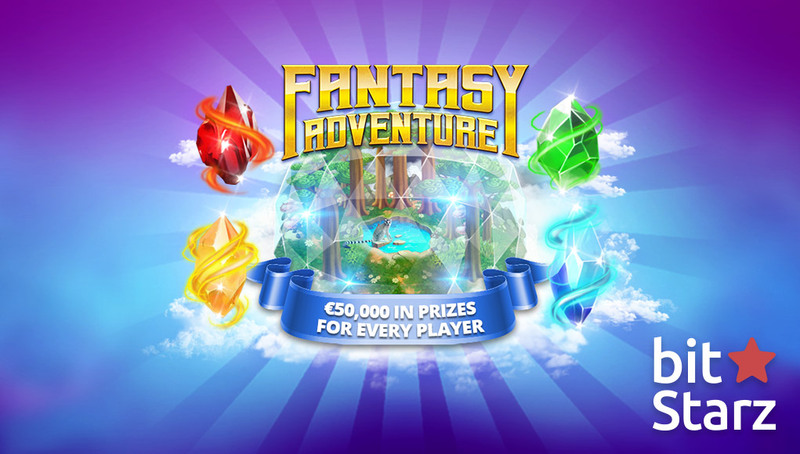 Fantasy Adventure puts you on the path to the Crystal Dome, as by passing through the four elements you can get your hands on a €50,000 individual prize pool. Psst! New BitStarz players get 20 Free Spins - no deposit required! The promotion runs from 00:01- 23:59 CET on July 1st 2018 - August 20th 2018.